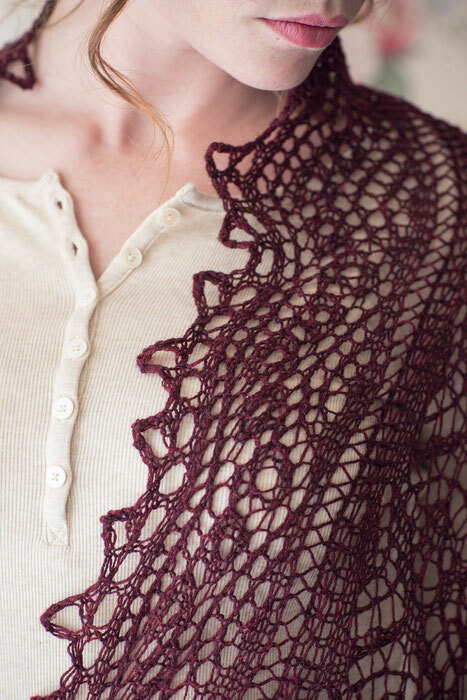 Traditional Lace: Spanish Mantilla - monemades Webseite! 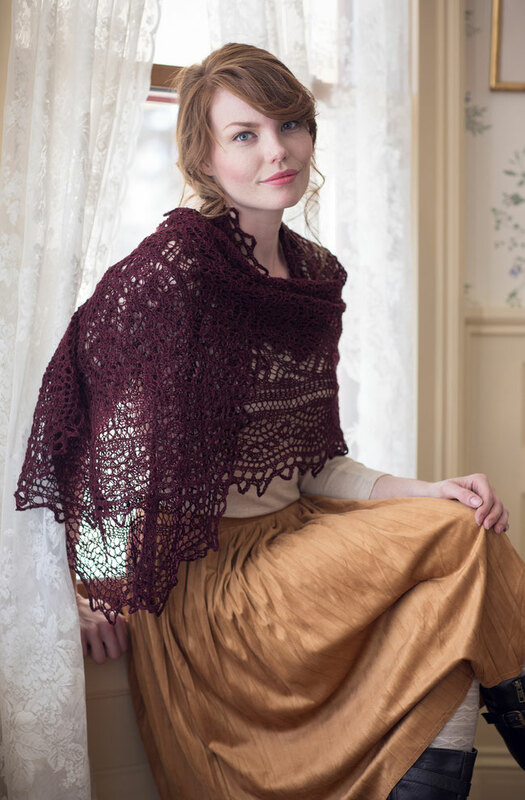 The stole is rectangular with rounded edges and features a large centre lace panel in a traditional Shetland lace stitch pattern and a knit-on border, that runs around the centre panel. 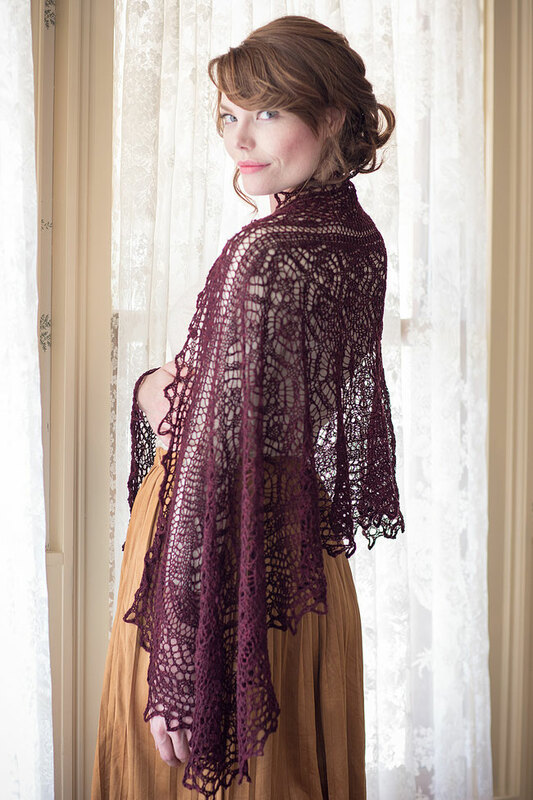 It's a light and airy piece, with just 100g of yarn used, the stole measures approxiamtely 60 cm (24") by 168 cm (66"). The pattern was published in the brandnew Interweave Knits, Holiday 2o16 magazine. It is available in print or digitally as part of the magazine and also for indiviudual download at the Interweave Store, here. This is just beautiful, Mone!